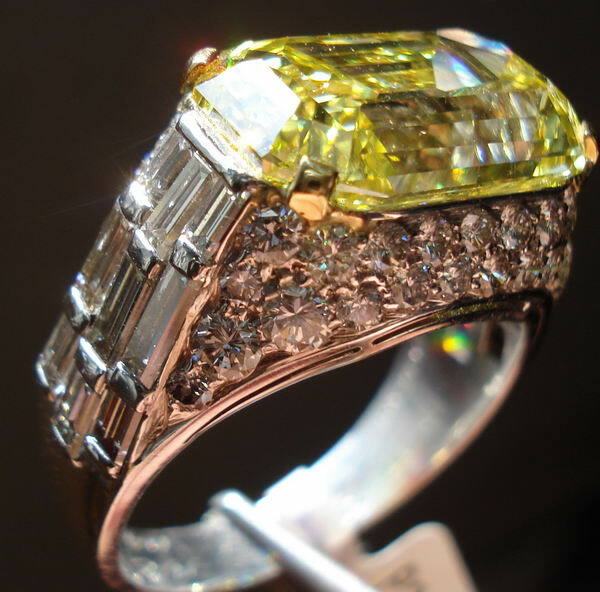 Here's a truly remarkable, incredibly rare BVLGARI piece. 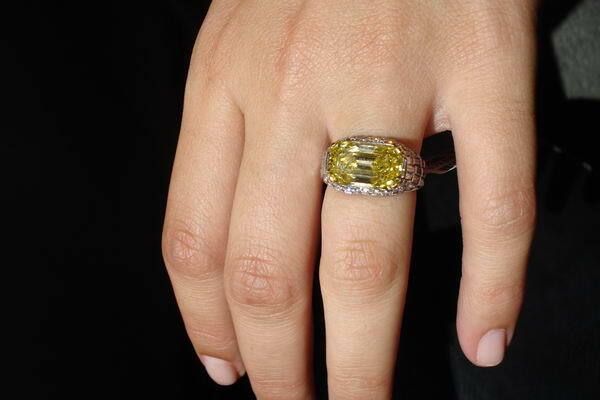 The ring was purchased by someone about 50 years ago. We can't say for sure, but the way the round stones are cut lead us to believe it's from that period. It came into the possession of an amazing diamond cutter friend of ours a few years back. 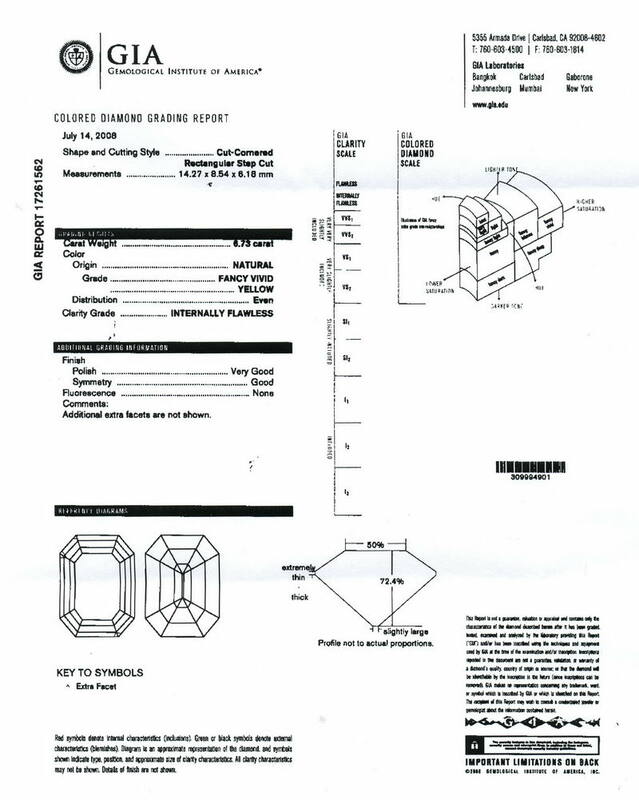 The center diamond was worn- there we some chips and abrasions. 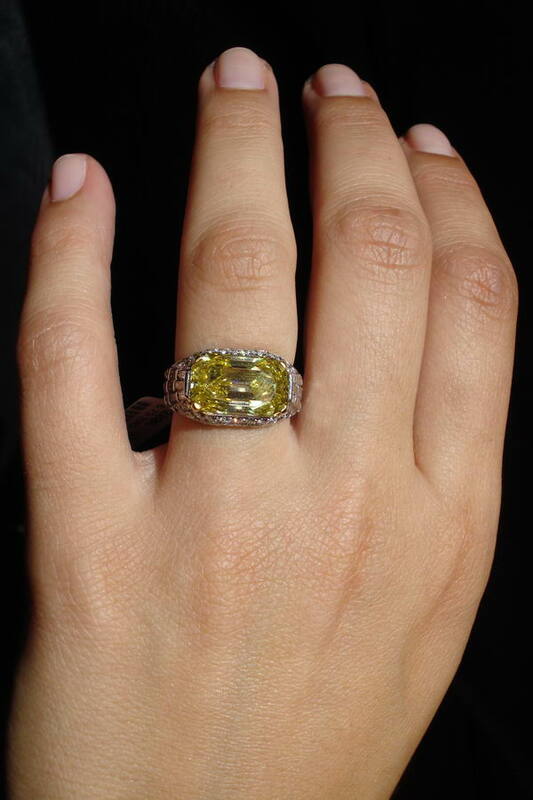 The diamond was recut- repaired actually- bringing it back to Internally Flawless. 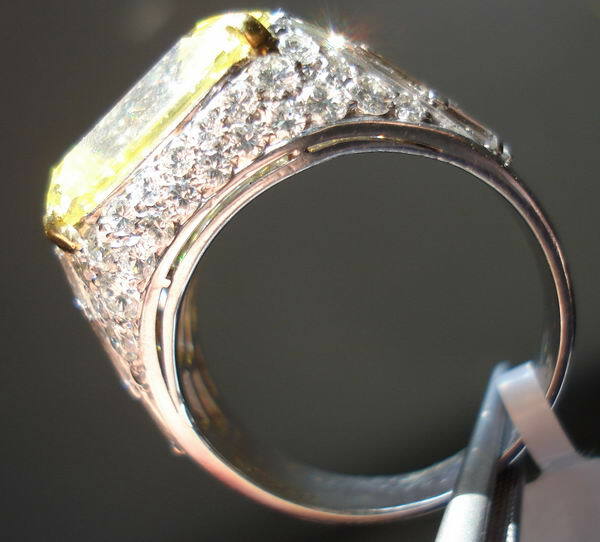 A small percentage of weight is lost during that process- the stone was originally cut, and sold as 7.00 ct + stone. Considering the pedigree, and rarity, the price is actually quite remarkable. 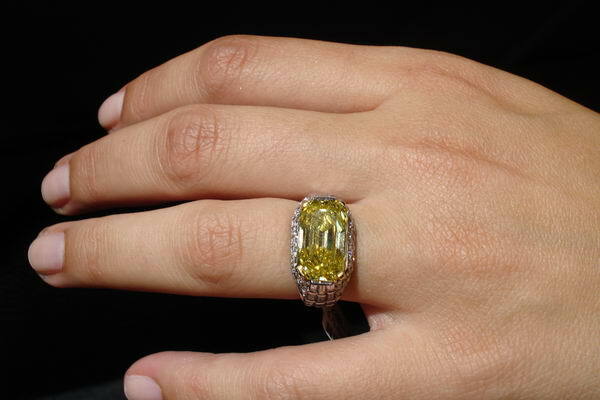 The stone could easily be $120,000 per carat. 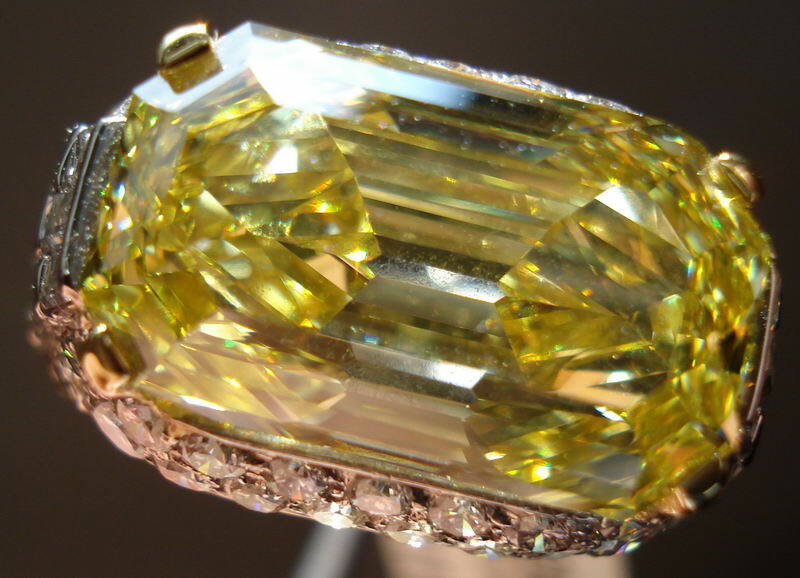 Fancy Colored diamond aficionados know that step cuts are rare. 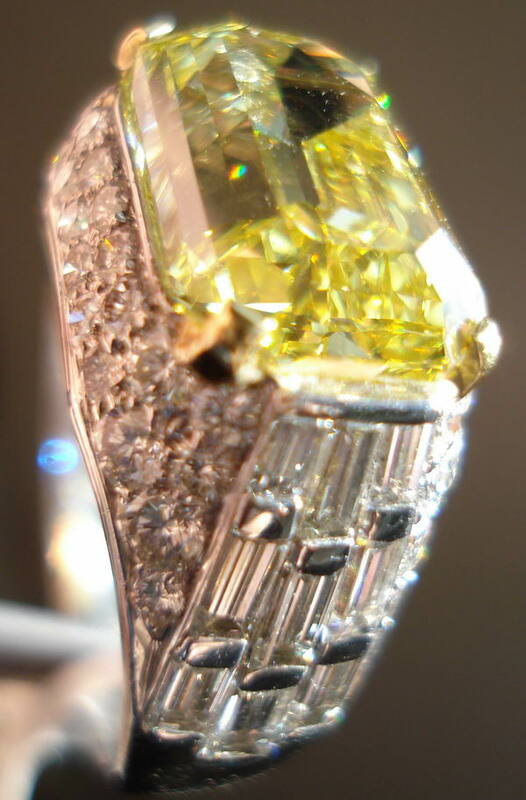 It's hard for the stone to ....focus that yellow color, like a modified brilliant radiant or cushion can. All that makes the super Vivid saturation here even more remarkable. The facet pattern is so very simple- yet it accomplishes everything you want, if you're a step cut lover. There's always going to be part of a step cut that's.....inequitable, in a sense- in the way it plays with the light. At the ends of the stone, the light gets bounced around quite a bit- causing something similar to what a lot of radiants exhibit beautifully- crushed ice. The middle of the stone is like deep water- with ripples. You can focus in the large facets with your eyes- and they constantly switch from darkness to color. 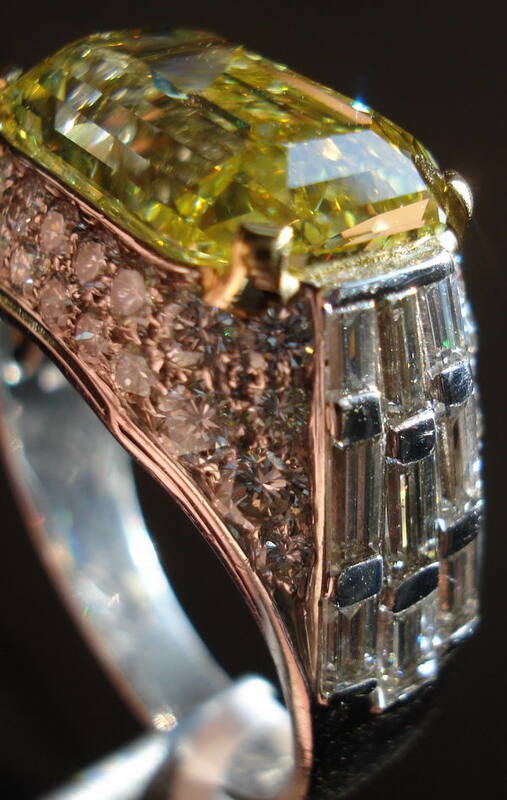 Most of the personal inscription done at some time in the past- has worn away- the BVLGARI stamp remains due to it's placement, and the depth which it's engraved- much deeper than hand engraving, used for sentiments inside a ring. The ring is an artistic masterpiece. It's platinum. There are 18straight baguettes, and 44 round brilliant. 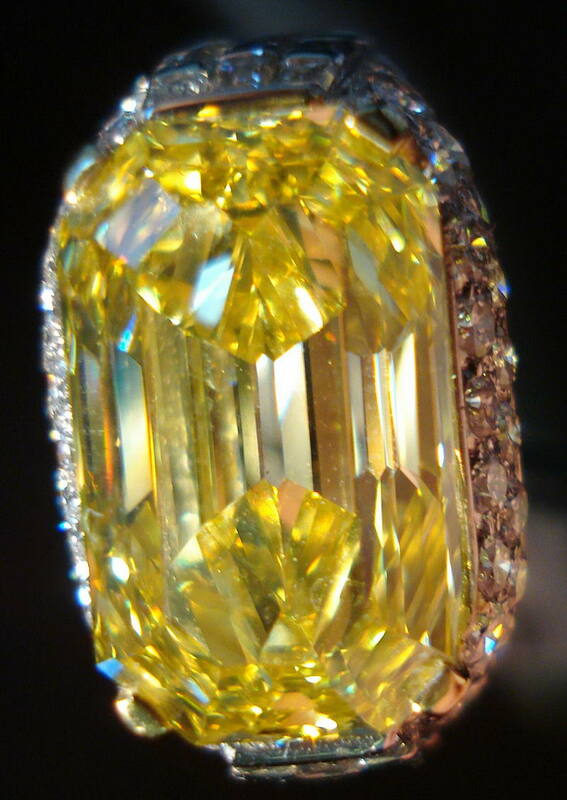 Likely in the range of 1.75ct total white diamond weight.